The fossil-fuel friendly policies of President Donald Trump have created a prime opportunity for what we like to call "Keystone pipeline stocks." The name comes from President Trump's move this week to restart the approval process for the Keystone XL pipeline, the TransCanada Corp. (NYSE: TRP) project to bring oil from the Alberta tar sands of Canada to refineries in the southern United States. 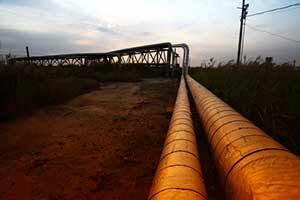 The Keystone pipeline is the poster child for stymied oil infrastructure projects. The Obama administration delayed the $6 billion project for several years before finally rejecting it outright in 2015. President Trump issued an executive order on Tuesday calling on TransCanada to re-apply and instructing the State Department to "take all actions necessary and appropriate to facilitate its expeditious review." Another executive order urged the Army Corps of Engineers to grant the final easement needed to complete the $3.8 billion Dakota Access pipeline (DAPL). Energy infrastructure has gone from the top of the unwanted list under President Obama to having top priority under President Trump. In a meeting Tuesday with auto company executives, President Trump suggested environmental regulations had gotten "out of control." And he promised that the process of obtaining permits would be greatly streamlined. "We're going to either give you your permits, or we're not going to give you your permits," the president said. "But you're going to know very quickly. And generally speaking, we're going to be giving you your permits." President Trump's determination to get these projects launched – part of his promises to create jobs and make America energy independent — removes a big layer of uncertainty from present and future oil infrastructure projects. And it's great news for Keystone pipeline stocks. TransCanada said it has already started preparing its new application to build the Keystone XL pipeline. TRP stock rose 4.6% in the two days following President Trump's announcement. The company behind DAPL, Energy Transfer Partners LP (NYSE: ETP), is keeping quiet – apparently to avoid drawing attention to the Native American protests that influenced President Obama to halt that project. But ETP stock has shot up almost 10% since Tuesday. 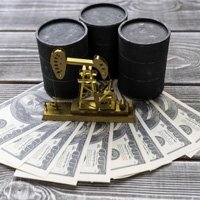 Those are the obvious winners, but there are a lot more Keystone pipeline stocks that will prosper under the Trump administration.